100 Companies choose UCView every month. Sign up in just 60 seconds. UCView provides powerful digital signage software that users can use to design and deploy content to their digital signage displays. For organizations that don’t want to deal with managing and hosting a server, UCView offers a SaaS (Software as a Service) turnkey hosted solution. For organizations who need the power and flexibility of our enterprise products, UCView cloud is powered by an industry leading hosting provider who offers premium hosting environments for UCView customers. UCView SaaS is a robust and flexible online digital signage software for both small and large digital signage networks. SaaS provides you with all the tools and functionality you need to design, distribute, and monitor your displays. Host on your own hardware. Players do not require internet access. 24/7/365 monitoring for 100% uptime operations. Managed DNS service backup and redundancy. UCView's digital signage software is a solution for controlling your digital signage infrastructure, advertising content, and public information. With our platform you can manage your digital signage network through an intuitive Internet interface on any web-enabled device. 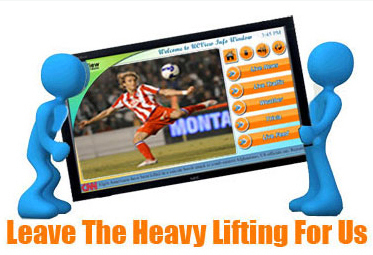 UCView's software allows for you to control from one to thousands of digital displays at any time, from anywhere.